I've been taking my Porsche Carrera GTS to Porsche of Fremont for service since I purchased it over 7 years ago. They have always provided stellar service with a staff that is friendly, supportive, and attentive to details. I could not recommend them more highly. Michelle, Kyle, and Gunter will make sure that you are well taken care of. Michelle was courteous, professional and took care of all my major or little concerns regarding my vehicle. 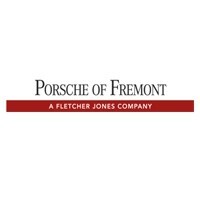 I was referred by my local Porsche mechanics to Porsche Fremont due to the complexity of my hybrid vehicles and this experience didn’t disappoint. It also instills confidence in my future decision of purchasing a new vehicle at Porsche Fremont, even though it’s not the closest dealership to my home. Michelle Gent took care of my car's service needs and answered all my questions in a thorough and friendly manner. She proactively communicated the status of the service as well as provided any service center discounts available to my vehicle. I would definitely return to this service center again!